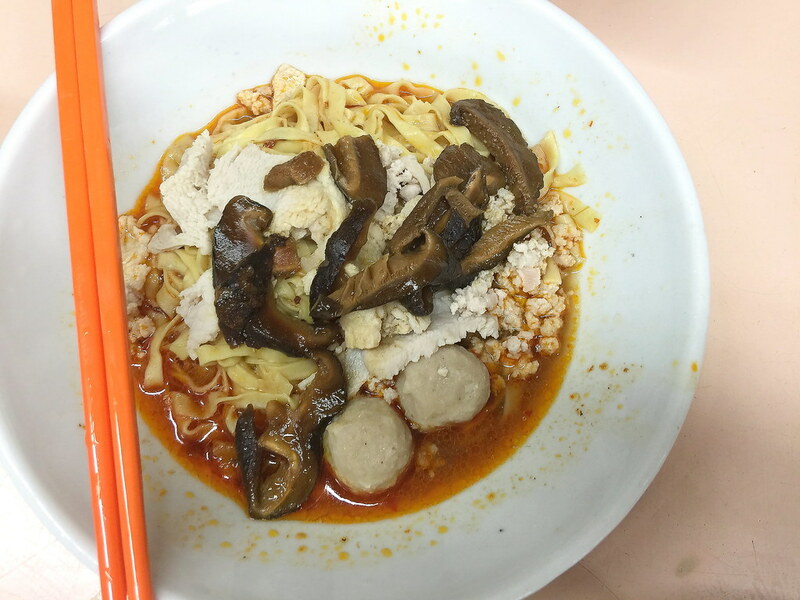 I was introduced to Ding Ji Mushroom Minced Meat Noodle at Bishan Street after hearing it from Maureen aka MissTamchiak when she discovered the stall. Things then went viral and queue started to form at the stall with waiting time up to 2 hours. The good thing is that this place is opened around the clock, 24 hour. So I was able to check out the place in the wee hours when it was not as crowded. 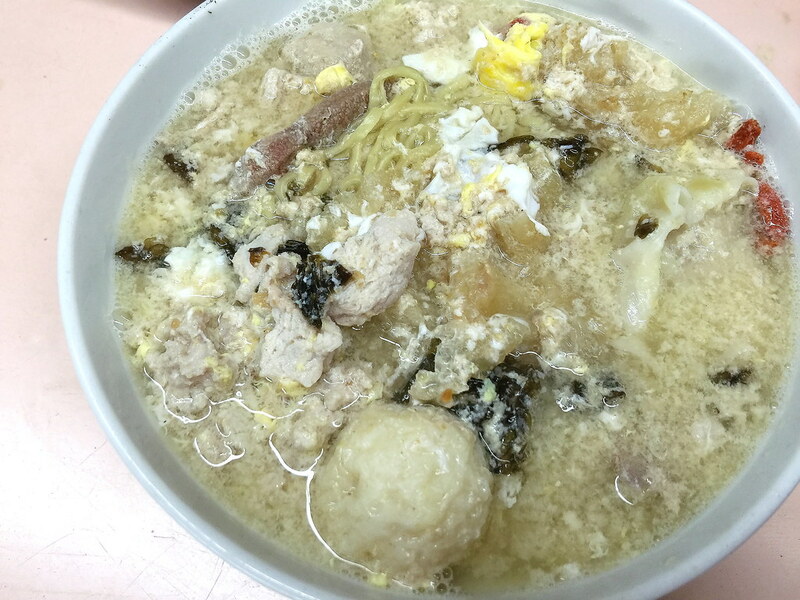 I had the most expensive item on the menu which is the what I came for, the Fish Maw Soup with Noodle ($8). 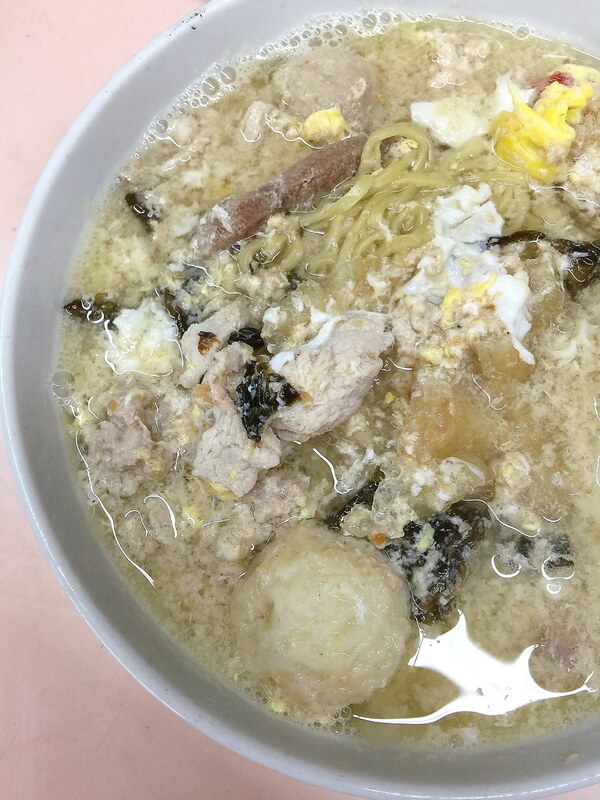 The bowl of noodle comes with a lot of ingredients such as fish ball, dumpling, pork slices, liver, mushrooms, egg and fish maw. Besides the generous amount of ingredients, the other highlight is the robust soup. The soup based was sweet and came with a subtle taste of Ti Poh or dried sole fish. That provided the soul for the bowl. While the Seng Kee version with its strong Ti Poh flavoured soup hits you like a tank, the version here is more gentle and it a way more balanced. So it really is subject to individual preference and palate. Since I have came all the way to check out the stall, I might as well made the best of my trip. Hence I ordered another bowl of Bak CHor Mee Dry to try. Unfortunately it was a disappointment. The chilli and vinegar sauce did not carry any weight at all to match the noodles. It was rather lacklustre. If you like to check out the stall, I would recommend going for the fish maw soup as this is the highlight here. The other noodle dishes are ready so so. To be fair, don't let the waiting time and personal preference distort your judgement. 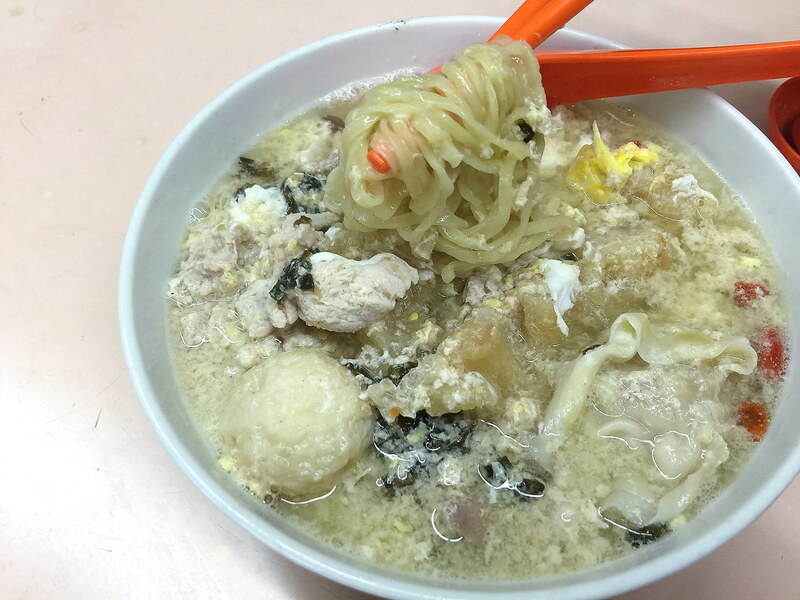 To me this is a hearty and comfortable bowl of fish maw soup that I have enjoyed and I would go back again for it.